everything in it’s right place – ahoyfriend. tonight i finally bought my tickets to fly to Portland to meet Jill and Kelly for girlpack 2, where we will head into the woods together on a three day backpacking adventure where we will ponder life’s great mysteries while we take in the beauty of the Northwest, all while trying not to trip on or over anything for about 30 miles. 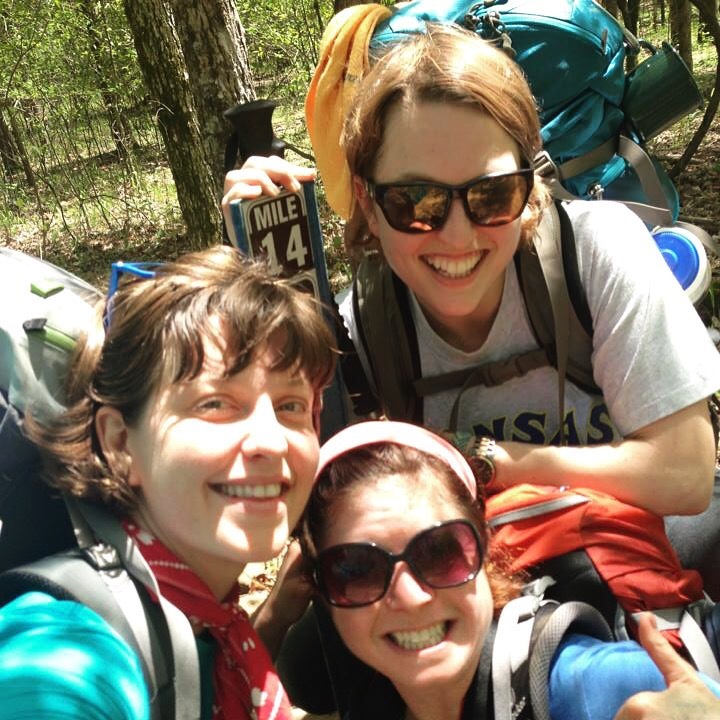 our first girlpack was the first backpacking trip for all three of us and it is one of my very favorite memories. i can’t wait! the ladies found great flights months go out of Denver and KC. i had been dragging my feet while living in a dream world where one can get reasonable airfare out of Northwest Arkansas. anyway…as soon as I hit send on my excited email of BOOKED! and before I could fully think “i really need to at least go on a wal-“, my phone lit up with a text from Murray about hiking this weekend. um, YES! and thanks for the high five, Universe. Pingback: it’s a long one, 2015 | ahoyfriend.